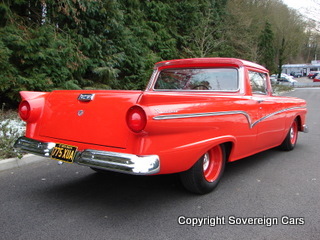 The Ford Ranchero was launched at the New York motor show in 1956, after which produced ran between 1957 and 1979. 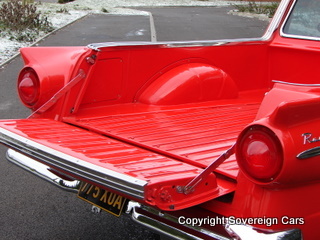 Utilising the concept of an integrated cab and station wagon cargo bed in one, its popularity was unprecedented. 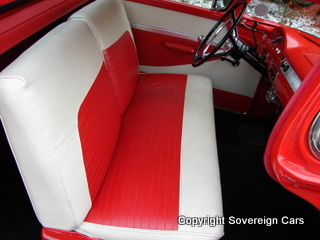 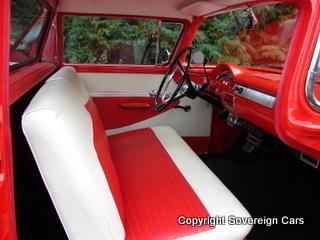 Offered in two formats, standard and custom, the former was relatively basic and the latter had upgraded paint, stainless body mouldings and improved upholstery. 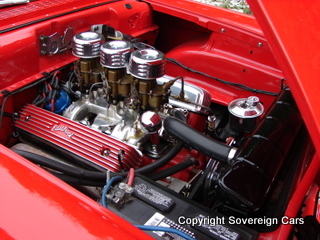 Available with a wide range of engine options, including the very capable 292 cubic inch V8 from Ford. 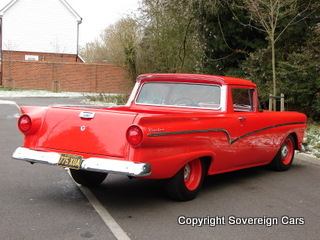 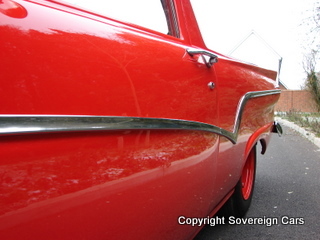 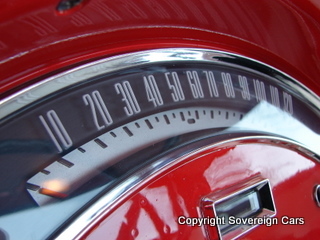 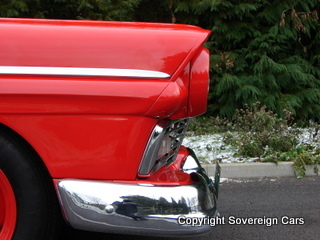 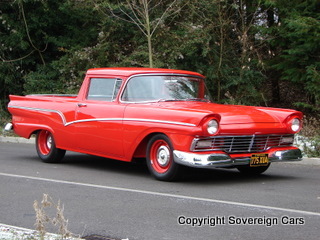 The first incarnation of the Ranchero only spanned 1957 to 1958, and is without question the rarest and most sought after body shape of the entire evolution. 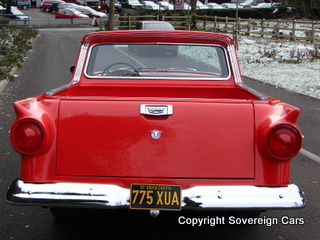 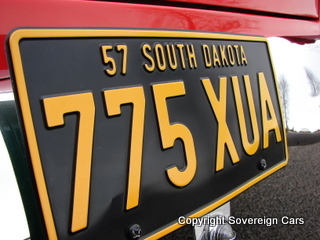 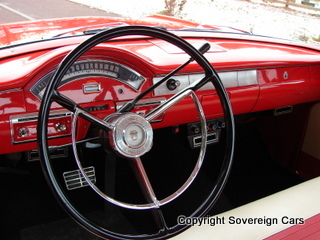 The example on offer here was built in May 1957 by the San Jose plant, and was remarkably only the 462nd example to roll off the production line. 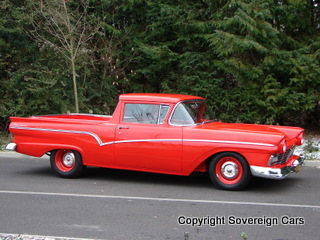 To illustrate how rare these 1957 Rancheros actually are, only 6,419 standard format models were built during this first year of production. 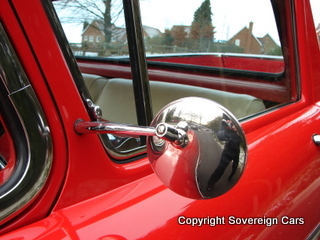 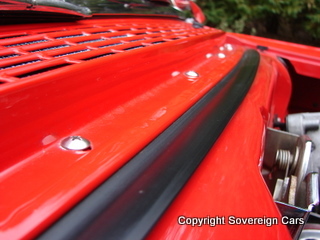 In 2006 this rare classic has undergone a complete body off, no-expense spared restoration. 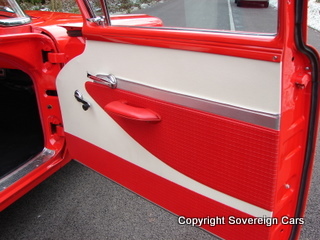 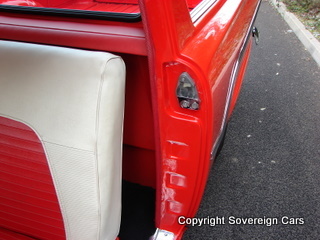 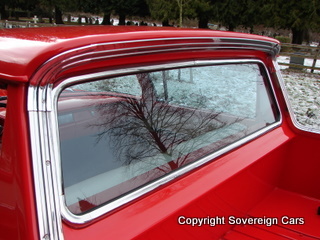 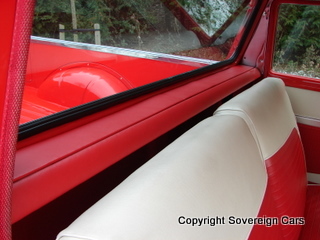 Finished in stunning high gloss Flame red and professionally trimmed in period white and red pleated vinyl, both original specification for this particular vehicle when original manufactured. 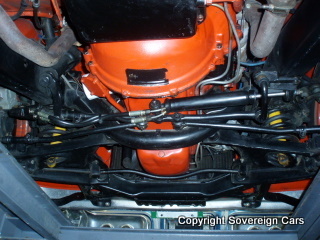 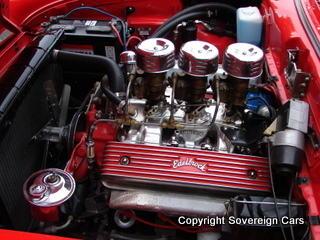 Under the hood you will find a 292 cubic inch small block, engine casting EDB, again the V8 capacity as originally fitted to this car. 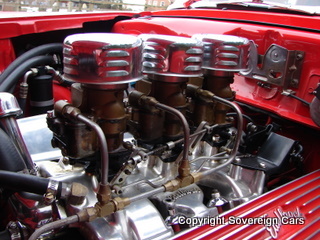 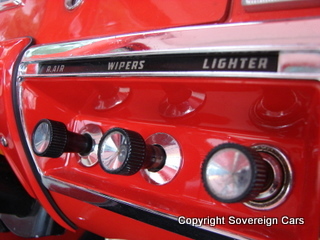 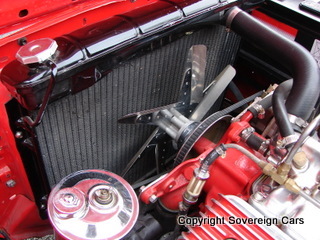 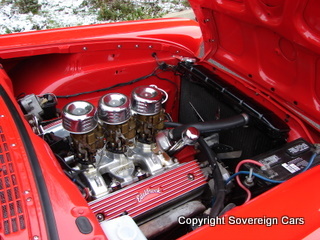 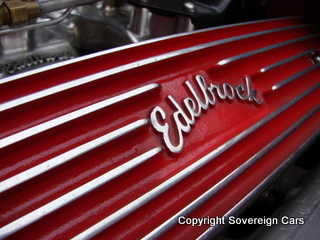 Sporting Tri-Power carburettors, the installation is absolutely sensational in every respect with cast aluminium finned Eldelbrock rocker covers, polished inlet manifold, chrome air filters, period black plumbing and so much more detailing besides. 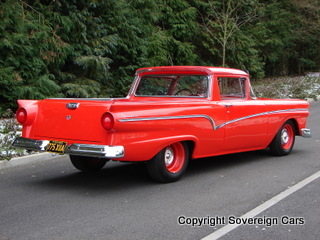 Driving through an original specification Fordomatic (2 speed) automatic transmission, you will not find a more stunning example on the open market today. 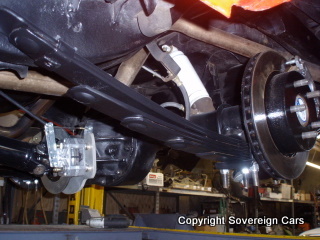 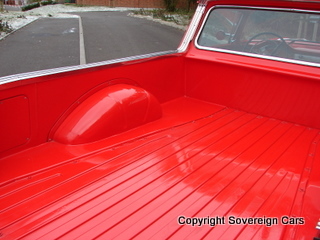 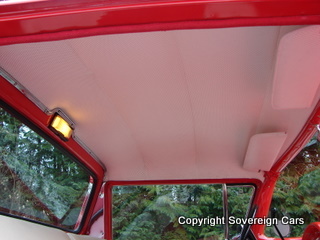 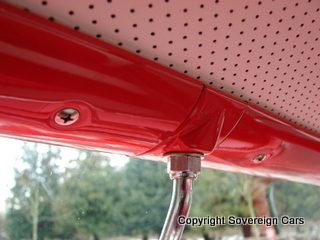 The quality of restoration is the best we have ever seen, including a complete detailing of the underside of the vehicle (see pictures). 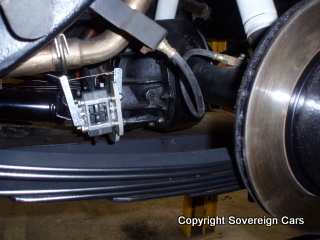 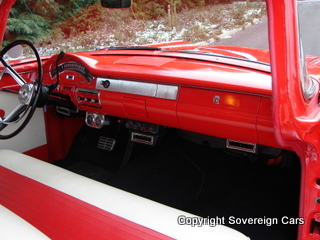 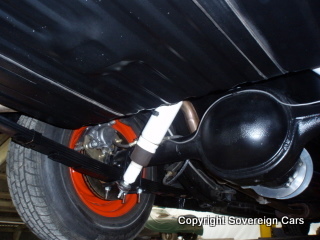 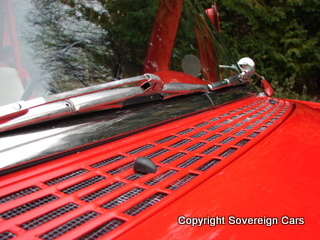 To enhance the drivability of this amazing classic, sympathetic upgrades include; professionally installed air conditioning, power assisted steering, upgraded brakes with ventilated discs front and rear, twin "Flow Master" stainless steel exhaust system, rear adjustable air shocks and bespoke prop shaft hand brake system. 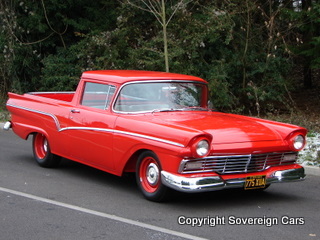 Sold in January 2007 at the prestigious Barrett Jackson auctions in Arizona, this amazing car was imported into the UK in the following year, after which it has only had 1 lucky former keeper. 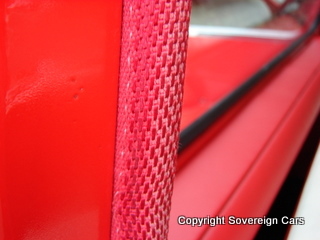 Included in the sale is a box file of information including the Barratt Jackson catalogue and auction screen display. 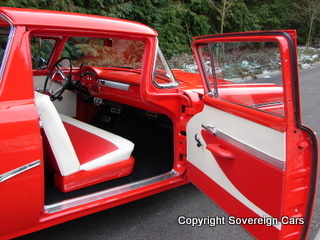 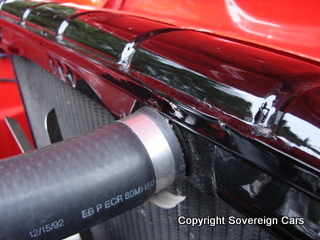 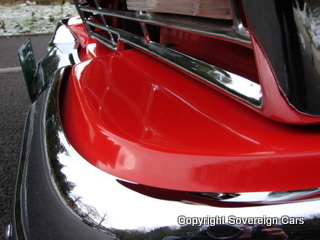 Offered in concours condition inside and out, you will not find a better example. 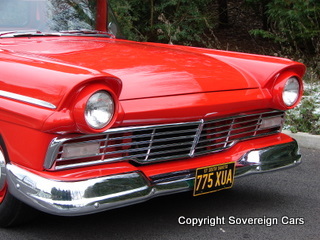 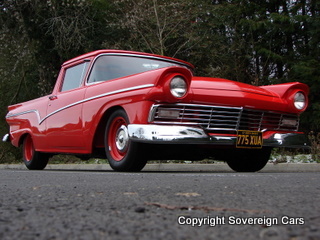 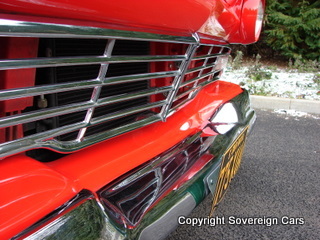 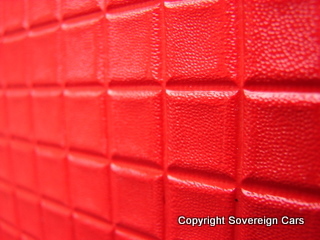 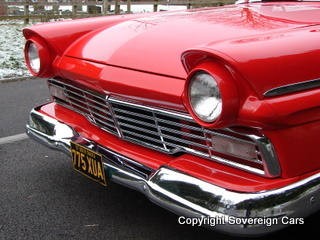 Very desirable to any American classic collector and offered at a fraction of the restoration cost.